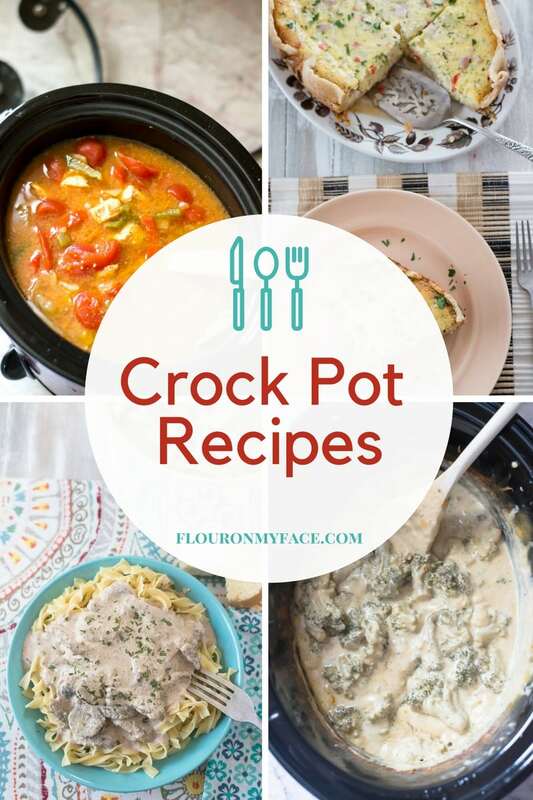 You know I love my crock pot recipes! 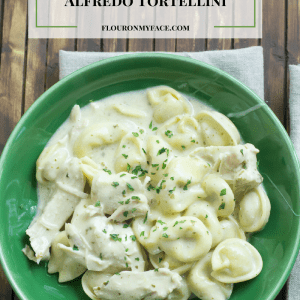 This Crock Pot Creamy Chicken Alfredo Tortellini recipe is so easy to make and doesn’t require a shopping cart full of ingredients! 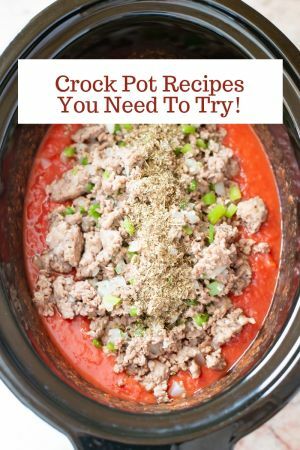 I especially love my crock pot recipes when they are easy to make and only require a few ingredients. 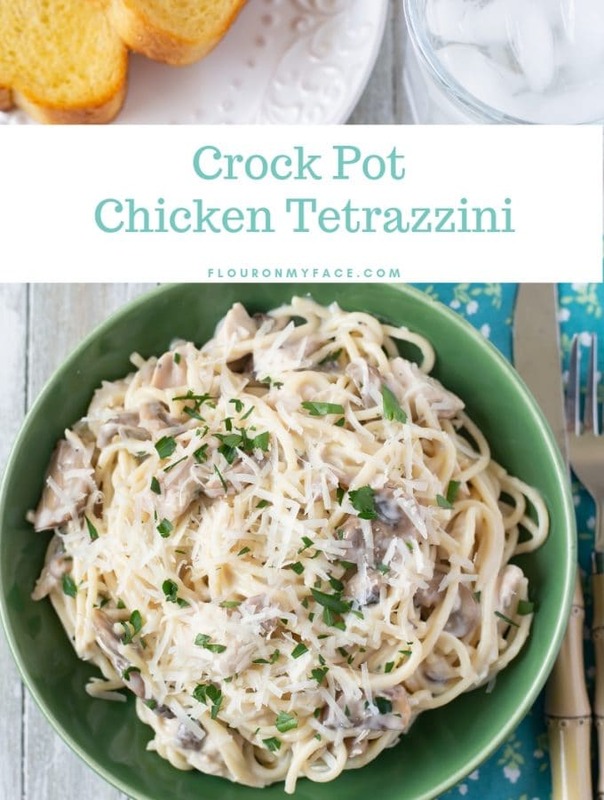 Chicken crock pot recipes like this one with only 4 ingredients are a busy mom’s dream come true! 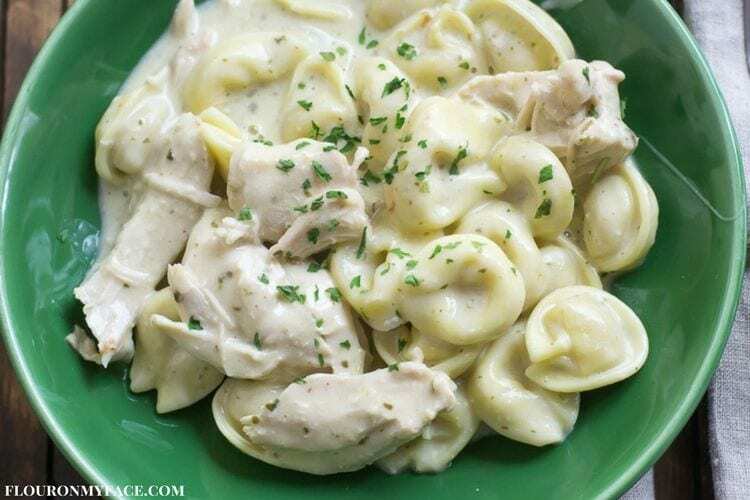 This 4 ingredient Crock Pot Creamy Chicken Alfredo Tortellini recipe couldn’t be any easier. This crock pot recipe is creamy, a little cheesy and is one of the easiest crock pot recipes you will ever make. The boneless chicken breasts are slow cooked in half a jar of creamy basil Alfredo sauce. It makes the chicken moist and delicious allowing it to take on the creamy Alfredo sauce flavors. The tortellini takes all of five minutes to cook in the microwave. Once the chicken is cooked you pull it apart into bite size pieces, add the cooked tortellini, the rest of the jar of Alfredo sauce and some shredded mozzarella cheese. And like magic you and your family are scraping your plates clean and begging for seconds. Place the chicken breasts in a single layer into a crock pot. I used my favorite Crock Pot Casserole Slow Cooker. Pour half the jar of Alfredo sauce over the chicken in the crock pot. Cover the crock pot and cook on low for 4-5 hours or high for 3-4 hours. Cooking time will depend on the thickness of the chicken pieces. Occasionally check for done-ness. When the chicken is cooked through use two forks to shred the chicken into bite size pieces. Cook the tortellini following the directions on the package. I followed the microwave cooking directions and the tortellini was cooked perfectly. Add the cooked tortellini, remaining Alfredo sauce and cheese to the crock pot. Mix well and recover the crock pot. Allow the cheese to melt and the tortellini and Alfredo sauce to heat up and come to the same temperature. Serve with some fresh grated Parmesan cheese over each serving and salad and bread if desired. 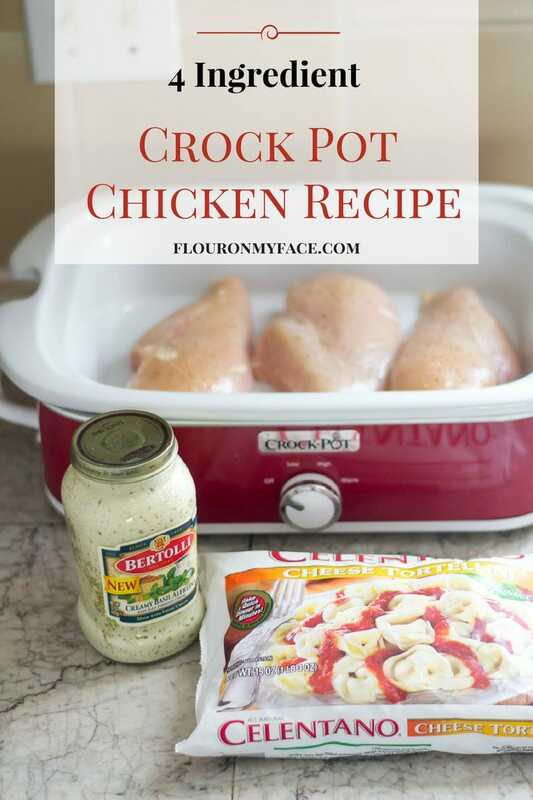 This chicken crock pot recipe only has 4 ingredients, is delicious and is a perfect week night meal for busy Moms. 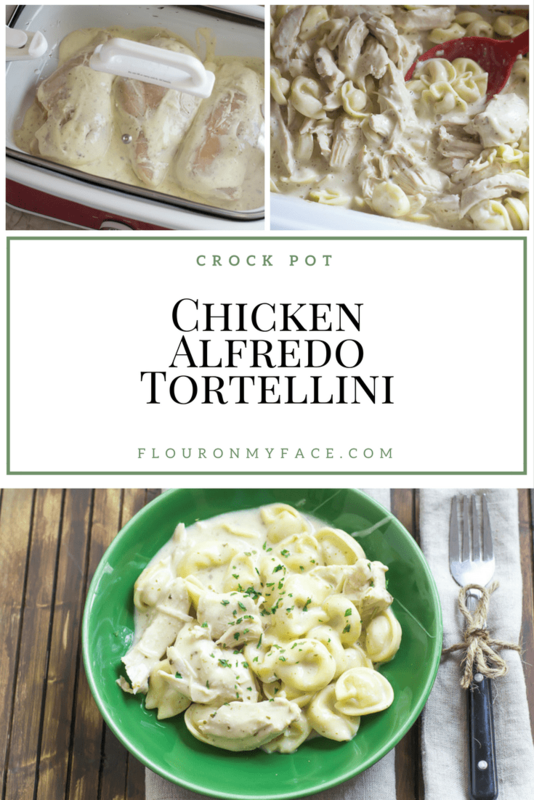 Love easy crock pot recipes for busy mom’s like this Crock Pot Creamy Chicken Alfredo Tortellini recipe? 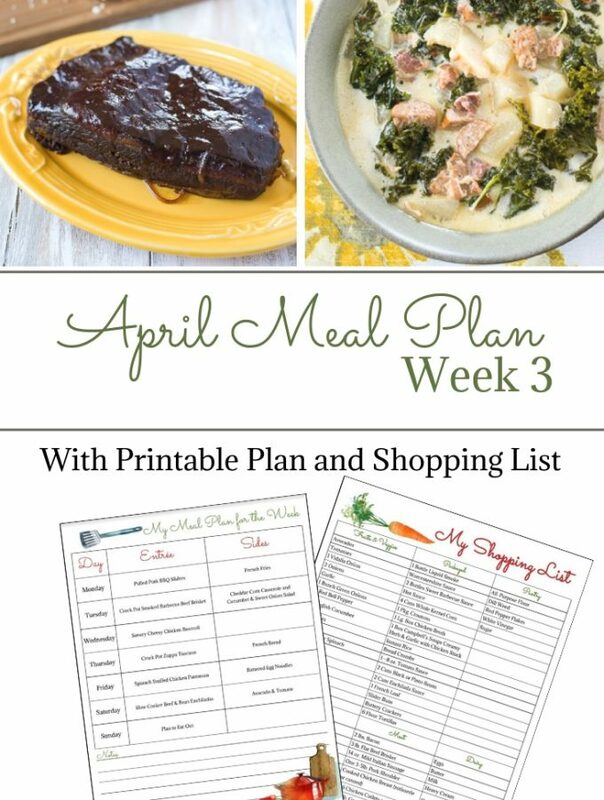 Head over to my Crock Pot recipe page where you will find over 180 family friendly crock pot recipes! 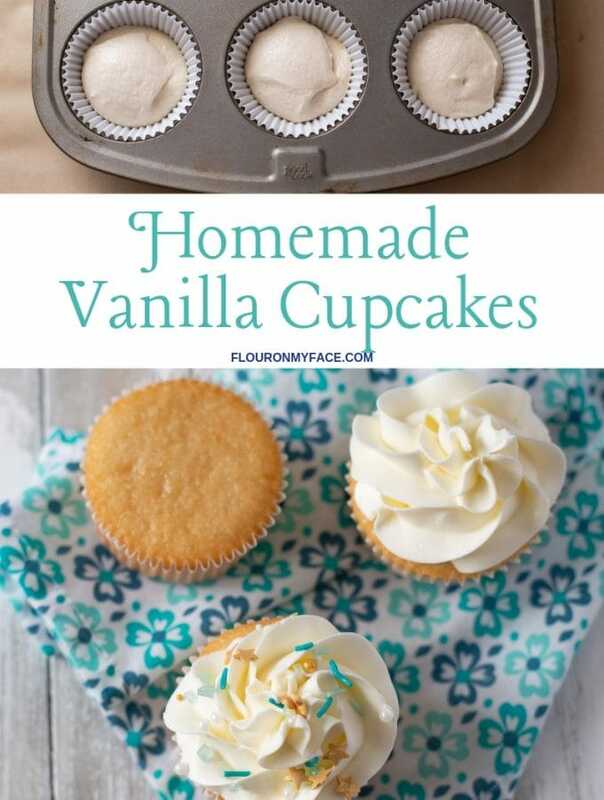 Pinned to try as soon as I get ingredients! Enjoy! 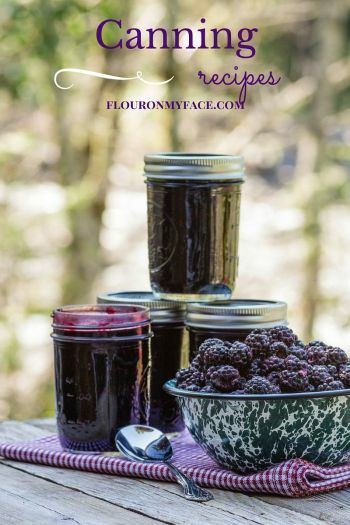 It is so easy to make and tastes delicious! So simple busy mom’s dream come true!! By the way your pictures makes me want to make this tonight!! Leah thank you so much! Can you place frozen chicken breasts in there or do they’d have you be defrosted and how long should I cook them frozen on low? It is not recommended to cook frozen meat in a slow cooker. It is safer defrosting the chicken in the refrigerator first and following the cooking directions. I know I have been reading the same thing all over the internet for years. The issue is that for any poultry to be safe to eat it has to cook at a constant temperature and reach an internal temperature of 165 F.to kill off any bacteria. Frozen chicken pieces or a whole chicken that is frozen is not going to cook at the same temperature in the thickest or center areas as the outer or thinnest pieces. A slow cooker doesn’t hold the same temperature in some areas. 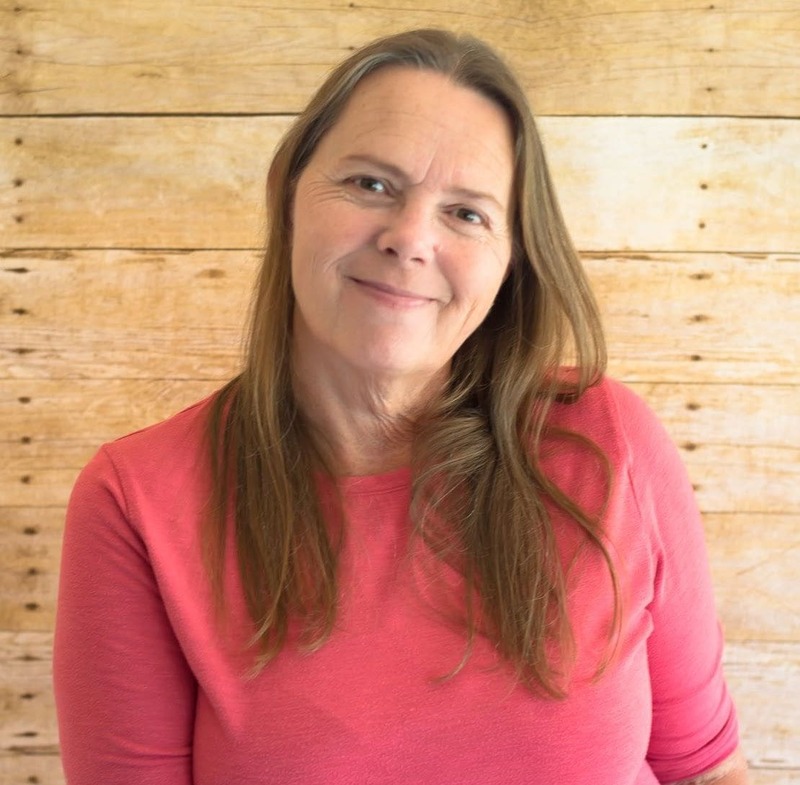 I’m sure you may have noticed that some slow cookers have hot spots on the outer edges while the center of a recipe might not be as hot as the edges of the crock that is closest to the heating element. This is why it isn’t safe to cook frozen poultry or meat in a slow cooker. Many people may have cooked frozen chicken many times but all it takes is one piece of under cooked chicken to contaminate the entire crock pot full of the recipe and make you or a family member very ill.